Jami Greer from Lioness Photography in Kelowna, BC delivers quality real estate photography, guaranteed. 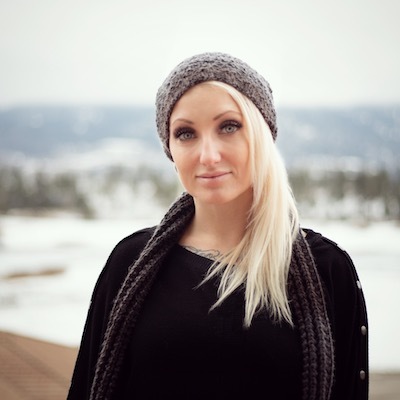 Lioness Photography is based in Kelowna, BC but they cover the entire Central Okanagan area. Most of their work is done in Kelowna, West Kelowna, Peachland, Summerland, Penticton, Lake Country, Vernon and even Silverstar and Big White. For an extra charge Lioness Photography are willing to travel farther within southern British Columbia. If you would like to speak to Jami Greer from Lioness Photography you can call her on the phone numbers listed below, or fill in the contact form and she will get in touch with you as soon as she can. Follow Jami Greer on LinkedIn. My name is Jami and I am the owner and operator of Lioness Photography. I have been holding a camera since I was a teen and took a photography class in high school. I actually studied Environmental Science in University and after earning a Bachelor of Science I still felt something was missing so I went back to the books and received a diploma in Photography from SCI in 2015. Since then I have blended my passion for photography with my interest in real estate and architecture to central my focus on real estate photography. With my scientific background, equations and formulas make the most sense to me and I feel that with real estate and architectural photography you can sort of apply these mechanisms along with a little creativity to capture stunning shots. I have a natural eye for straight lines and structured composure and I feel this is really reflected in my work. Arrive on site, and of course greet my agent as well as the home owner or whoever else might be there. I like to fill them in on my plan of attack so that everyone is on the same page and things can run smoothly. I like to take a quick walk through the home so that I can see how many rooms are there and make sure there is nothing that is hidden and could be missed. Once the initial hello and overview are over I like to flow naturally through the home as thought I was just a visitor. I start at the entrance and work my way through the main entertainment areas, then head to any bedrooms or bathrooms that are on the main floors and finally do the basement last. After the interior is shot, that’s when I will head outside (unless there are changes in weather or lighting upon us and I need to shoot the exterior first). I like to do it this way just in case the homeowner or agent need to leave, they can leave and with their permission, I can finish up on the exterior on my own. Once the shoot is done I head back to my office and get to work on the post production, but not without first backing up the photos in two different locations. I blend multiple images in Lightroom and Photoshop to create high quality magazine style images and once they are complete I send them to the client via dropbox or the cloud (whichever they are more comfortable with). Very. I think that it is important to ensure that the images look the best they possibly can and the best way to do that is through post processing. I enjoy bringing out the best in a room or building and making it look clean, bright and inviting. I also love being able to explore different architecture and details that builders create. What advice would you give to someone in Kelowna or the Okanagan Valley who was selling their home? Well obviously that would be to make sure that your Realtor invests in great photos for your listing! All kidding aside, it is very important in this market to be able to stand out from all the other beautiful homes in the Okanagan. As someone that has that has been paying attention to this market for some time now, I can tell you that scrolling through MLS or some other real estate website, amazing imagery is what draws potential buyers in. We are so lucky to live in the Okanagan! There are so many things to do here. Summers are about taking my camera on one of the great hikes there are right around Kelowna, boating and wake surfing on the lake and as many beach days with my son as we can get in. In the winter we spend a lot of time up at Big White. I love teaching my little guy how to ride his snowboard and I’m happy to say that he’s been shredding since before he was even 2! Outside of outdoor activities, I love to hang with my son, hit the gym and read and learn as much as I can. I feel that exercise is very important and something that we should all fit into our schedules daily. Also that learning is something that we should continue to do throughout the span of our lives. Our brains crave knowledge and we need to feed our curiosity in order to remain intellectually fulfilled. Whats the saying? If you don’t use it, you lose it! My name is Jami Greer and I have been the owner and operator of Lioness Photography since 2015. I have had a love for photography since I was in high school and feel very fortunate to have been able to build a career out of doing what I am passionate about. Living the lake life in the Okanagan Valley is something that I am grateful for everyday because I find inspiration in its beauty as well as enjoy all that activities it has to offer, including hiking, boating, snowboarding and of course wine tasting!